An integral part of the non-food aspect of running a successful restaurant is, of course, your choice of restaurant table linens. Table linens not only contribute to the look of each individual table, but they also form a part of the whole aesthetic appeal of the restaurant, adding to its flair and character on top of providing an essential layer of protection for the furniture. Size – The size of the table is, of course, a primary consideration when choosing your restaurant table linens. Too small and your restaurant just looks undone and unsightly. Too large and you’re just running the risk of trip-and-fall accidents. Check out this handy tablecloth sizing guide. For accuracy, consult with a table linen expert on how to get the perfect size for your tables. Shape – Aside from the size, your tablecloth shape should match the shape of your table to create a clean, seamless, put-together appearance. Fabric – In picking the fabric of your restaurant table linens, consider a number of different factors including the type of food you serve, your furniture material, the color and design scheme of your interiors, etc. Accessories – Different types of restaurants accessorize their restaurant table linens differently. Some restaurant themes require a full, matching set of runners, napkins, and placemats, while others require just one or two add-ons. For instance, the more formal dining settings require matching fabric table covers and accessories, while the more casual ones have no need for runners and placemats and stick to napkins in complementary colors and a simple centerpiece. Maintenance Requirements – As with all other kinds of restaurant linens, tablecloths vary in material and maintenance requirements. So, it’s important to know what your restaurant table linen of choice requires in terms of maintenance, and decide whether or not it is something you are willing to put up with. The most important factor in picking your restaurant linens is quality. Imagine losing customer review stars because your table linens are of poor quality or are poorly maintained! 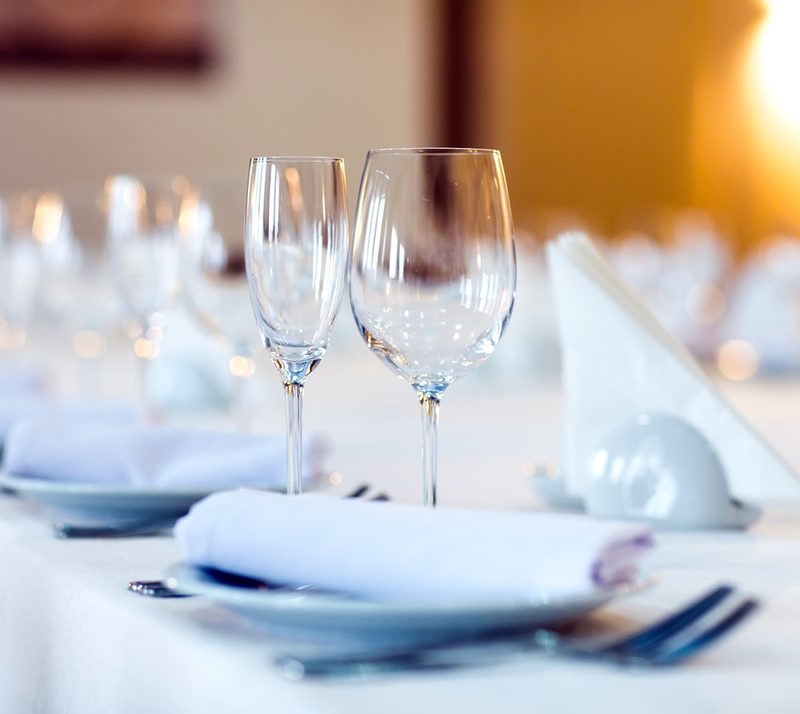 In choosing your restaurant table linens and their accessories, make sure to pick ones that reflect the quality of service and food that you serve, and that they are maintained to a level of cleanliness that you can be proud of. For this, and all your linen maintenance concerns, there’s always Dust-Tex! Dust-Tex offers a wide range of topnotch quality restaurant table linens, available in a variety of colors, shapes, and sizes to suit your restaurant’s most unique needs. We have been in the business of delivering exceptional restaurant linen services for over fifty years, and it goes without saying that we know more than a thing or two about restaurant table linens. Explore your restaurant table linen options today with Dust-Tex! Call us at (800) 456-0112 to speak with our expert linen consultants or to get a free quote!